Repotted then placed it in it's new home and it's been very happy ever since. Very impressed with order and company. Sweet William Plants - Dianthus Barbatus. The Sweet William Plants is a biennial plant that will bloom once it reaches two years old. There are perennial versions of the same plant. The two to three-centimeter flowers will be a variety of colors from white and yellow to red and purple. There are some various versions of the Sweet William Plants. Wild versions of the plant have flower bases that are white with red tips. The flowers will attract bees, birds, and many species of butterflies. These plants can get as high as two feet tall and are often planted in the spring with an eighth of an inch of dirt. Sweet Williams is a delightfully sweet smelling flower, perfect for ornamental flower gardens. The flowers grow in dense clusters at the top of the stem and contain up to 30 blossoms. Each flower has five serrated edged petals and grows to a diameter of about an inch. The flowers range in color from white, pink, red, and purple; coming in a variety of patterns. The beautiful smell and colorful petals will attract bees, birds, and butterflies. Sweet Williams is terrific for borders or rock gardens. They will thrive in slightly alkalizing soil with the sun to partial shade. Because of the flowers height and smell, it is perfect for floral arrangements. Sweet William prefers to grow in alkaline soils. This plant doesn't grow well in moist tropical soils. Sweet William’s flowers are sometimes eaten and are often used as a garnish. Sweet William is disease resistant and pest resistant. Sweet William has no main medicinal uses. Sweet William is not toxic and can be consumed by livestock. 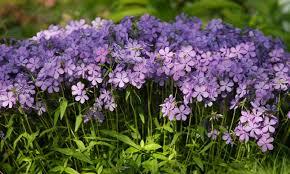 Sweet William is a flower that has many names; It is also known as Phlox, Louisiana Phlox, and Wild Blue Phlox. 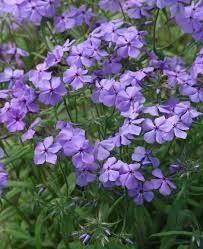 But no matter what name you know it by or call it this little flower is sure to be a gorgeous addition to any garden. 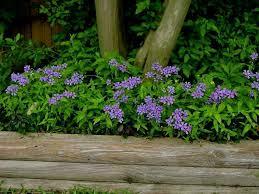 It has flowers that range from blue, pink and purple and bloom from mid to late spring. This perennial is excellent to use in a border, in a container garden, or rock garden, and they are even more gorgeous when you plant many of them together. The flowers are suitable for cutting and enjoying their beauty and slight fragrance in the home, and they also attract butterflies.